Join us for our CrowdFund Leicester crowdfunding workshop at City Hall on the 13th of October. Learn more and register here. Leicester’s set to make its biggest splash since the Leicester City Premiership win of 2016 with the launch of a new community fund called CrowdFund Leicester. From community gardens and street murals to festivals and sports facilities, Leicester has a new way to support Local projects. CrowdFundLeicester is an initiative from Leicester City Council and the City Mayor to engage communities to work together to make innovative ideas a reality. Crowdfunding works like this: proposals for projects are put online, and those that attract enough funding can go ahead. CrowdFundLeicester will provide land to help deliver projects, and the Community Engagement Fund will also allow the City Mayor to back the best ones with up to £10,000 extra funding. Leicester is built on communities. People coming together to improve their surroundings and provide local services to each other help make Leicester a great place to live. Now, CrowdFund Leicester gives you the opportunity to get your local project off the ground. Join the City Mayor, Peter Soulsby, for the launch of this exciting new initiative at City Hall on the 20th of September. Learn more and register here. If you’ve got an idea for a great project – something you feel would improve your community and provide benefit to your neighbours – then why not come down to our interactive workshop at City Hall on 13 October? You’ll find out all you need know to start your crowdfunding campaign from planning and budgeting to marketing and communications. Register for your free place here. The City Mayor is looking for project ideas to do more with land and spaces across the city that would benefit from being used in betters ways for the good of our communities. If you have a project idea to develop an area of land, no matter how big or small, the City Mayor is keen to hear it. The best project ideas could lead to local groups or organisations taking responsibility for this land in the short to medium term, or, in some cases, permanently. Whether you have a big idea for the whole area or a proposal for part of the land, whatever you are thinking, please let us know as we have a number of council-owned sites, from Bedale Drive and Gwendolen Gardens to Kingsmead Road Green Spaces and Her Ladyships Covert, showcased below that might be perfect for your project. The land at Bedale Drive is situated within Abbey Ward and currently occupies an area that could be used to fulfil your project idea. Bedale Drive offers a large stretch of land situated just off Bedale Drive, between Cotley Road and Beaumont Leys Lane. This land is surrounded by trees which act as a buffer between the industrial estate and residential area. We’re keen to hear your ideas to make sure we do something better with this space. Gwendolen Gardens is located within Spinney Hills Ward and offers a wonderful stretch of land between Gwendolen Road and St Saviours Road. The land currently has a footpath running through the centre of the land with three identified zones which offers seating areas. This area of land would provide a great opportunity for your project idea. This large area of green space is located within Knighton Ward and can be accessed via Kingsmead Road or Church Lane. The area of land has a lot of potential with Saffron Brook running through the land which is surrounded by green open space. You will also find the Church of Saint Mary Magdalen Knighton, Knighton Free Church, Knighton Bowling Club and a children’s play park within close proximity to the land. Her Ladyships Covert can be found just off Swinford Avenue within the Eyres Monsell Ward. Here you will find a large area of woodland situated amongst a residential area. A natural pathway has been formed within the woodland area which attracts various insects, birds and other animals. This area would be ideal for nature project ideas. Remember if you have a project idea you will need to ensure you have the right permissions from the land owner before you pitch your idea and begin to crowdfund. To express your interest and highlight your project idea for any of the pieces of land, a section of the land or to enquire about any other land owned by Leicester City Council please contact themayor@leicester.gov.uk in the first instance. 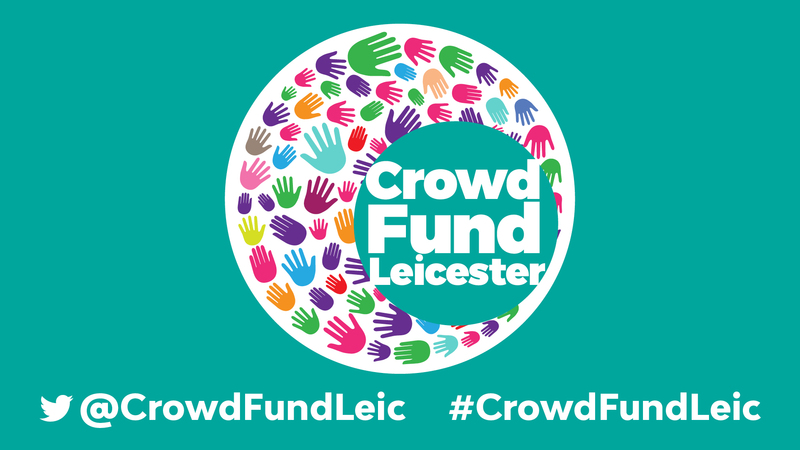 Find out more aboutCrowdFund Leicester and how you can play a part here.